Surrounded by quality homes, this well-presented family home is wonderfully light and appealing, offering 4 double bedrooms plus a study, the main bedroom has an ensuite and walk-in-robe. Two spacious living areas, with a separate lounge and an open plan kitchen / living area which opens out onto the sunny patio in the private, fenced back garden, with ample space for the children and the pets to enjoy. Double glazing, with 2 heat pumps, keeping you warm in the cooler months and comfortable in the summer time. 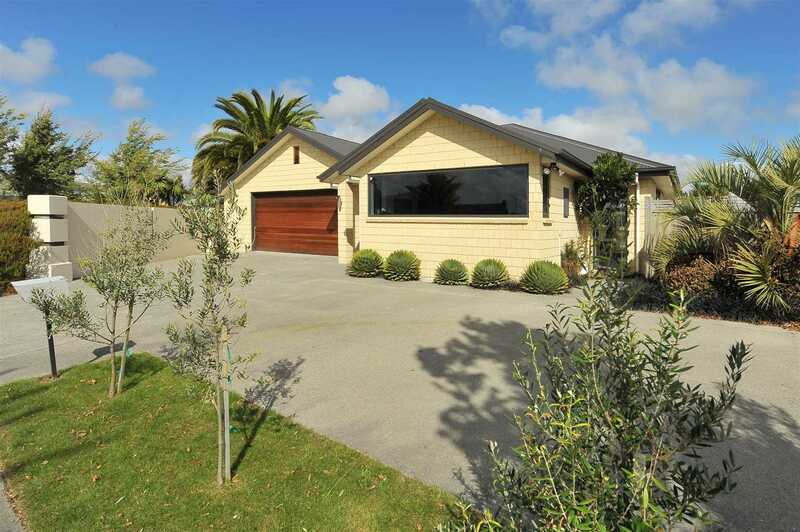 There is room for 4 cars in the internal access garaging with off-street parking on a family sized 728 sqm section, there is plenty to appeal in this lovely property, both inside and out. Perfectly positioned in the popular Country Palms sub-division, in Halswell School zone. There is easy access to main arterial routes and plenty of amenities including the Te Hāpua-Halswell Centre, cafes, restaurants, Halswell New World as well as the Domain and the Halswell Quarry Park all nearby. Chattels remaining: Blinds, Fixed floor coverings, Light fittings, Drapes, Dishwasher, Rangehood, Separate Cooktop, Separate Oven, Waste Disposal, 2 x Heated Towel Rails, 3 in 1 Lights in Bathrooms, Extractor Fan in Study, Alarm, 2 x Heat Pumps, Clothesline, Automatic Garage Door Opener and Remote.